Consulting to the project architects, CRJA-IBI Group completed a schematic master plan for the new Khalifa City in Abu Dhabi and also developed designs for its public open spaces, community centers and neighborhood parks. This planned new city is being developed by the Abu Dhabi Municipality and occupies approximately ten square miles. 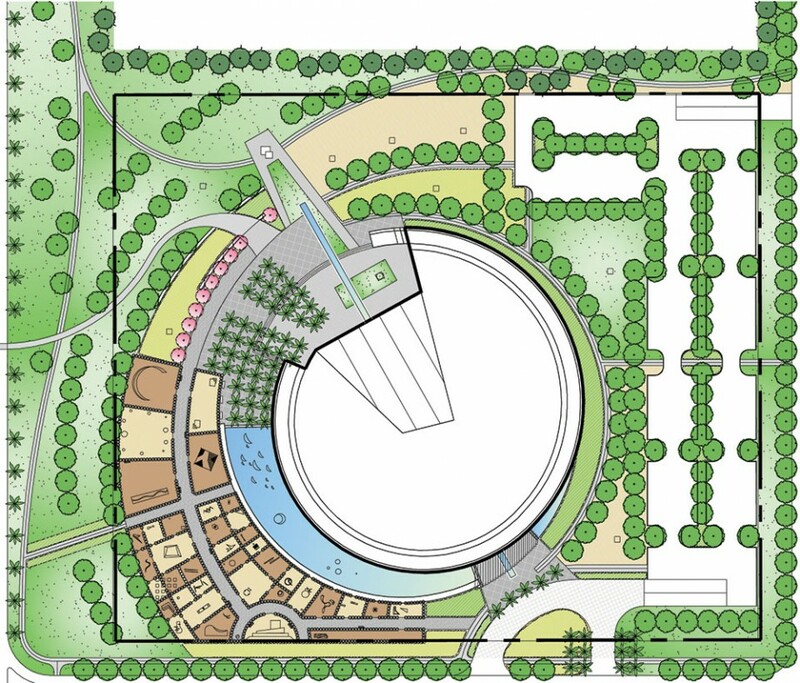 An elevated pedestrian walkway creates a strong connection between Khalifa Central Park and the proposed cultural center/ museum. As the walkway approaches the center, it opens to a large plaza. Art installations are placed in the grounds surrounding the center. Adjacent to the cultural center, a series of “green” outdoor rooms showcase large installations of art. Between the cultural center and the outdoor gallery, a floating gallery or water display can be viewed from inside the center or from windows within the “green” room walls.